Starburst effects can add an interesting element to a photograph. In a dark, moody scene, it can add a dreamy, peaceful twinkle to the lights. In a daytime scene, a starburst effect from the sun can add drama and interest to otherwise uneventful skies. Photographers used to use star or “cross” filters to achieve this effect. These were glass filters with a grid on the surface that created the “starburst” effect. While these filters created interesting starbursts, they also caused a rainbow-like effect in the light called dispersion as well as softness issues in the images. While you can still find these filters being used, you can create similar effects without filters simply by gaining an understanding of diffraction. A starbust from a light source is the result of light diffraction. Diffraction is the slight bending of (light) waves around small obstacles and the spreading out of (light) waves past small openings. As light passes into your camera through a small opening, i.e. a small aperture at a low focal length, it bends around the edges of the blades and creates the “star” look. The number of rays from each starburst is related to the number of aperture blades in your lens. The more blades your lens has, the more “starburst” is possible. So if you want to switch up the look, experiment with different lenses as well as different apertures. Also, remember that the focal length also affects the size of the opening. Side Note: (feel free to skip unless you’re confused by the relationship between focal length, aperture, and the size of the opening): Think about the following equation: F-stop equals the focal length divided by the diameter aperture. If you keep the F-Stop the same, say at f/22 and you change the Focal length, from say 100mm to 50mm, the diameter of the aperture drops in half if you plug the numbers into the equation. With lower focal lengths (at the same F-Stop) creating smaller openings, so you should see more starburst at shorter lengths. The following charts show the effect of aperture on the size of the starbursts. As you can see, the smaller the aperture, the more emphasized the starburst. The same concepts apply during the daytime as they do during the night time. Diffraction is usually thought of as a negative phenomenon, as it can lead to a loss of overall sharpness in an image. [Rewind – Click here to read more about aperture diffraction and its effect on photography]. However, as with most other phenomena, you can use it to your advantage and enhance your repertoire of creative photography. If you don’t have either of these, you might be able to get away with setting your camera on a solid object and using the two second timer, however your composition options would be limited. 2) Set Camera Settings – For this type of shot, you’re going to need to use a small aperture of f/11 or smaller. The smaller you make your aperture, the more diffraction you’ll get and the more “starburst” you’ll see in your image. Also Remember that the lower your focal length, the smaller the physical opening of the aperture, so the more you zoom out, the more “starburst” you should see in your image. Set your ISO to a low number to avoid any unnecessary (and potentially detail damaging) grain. ISO 50 to ISO 400 (ideally ISO 50) are good numbers depending on how long you want your shutter speeds to be. Your shutter speed will depend on the aperture and ISO you chose, as well as your desired amount of under/over exposure. The proper amount of over or under exposure will depend on your desired results, the amount of light in the scene, and the amount of contrast between the lights and the background. For most night scenes, you’ll want to be underexposed by around one and a half stops to maintain the night ambiance of the scene. Your shutter will likely be around 20-30 seconds for a scene like the one in the image above. 3) Turn on Your Highlight Alert – Most digital cameras have a highlight alert option that will show you when your highlights are blown out. This is important to turn on because you want to see if you’re blowing out, i.e. losing unrecoverable detail, in any parts of your image. In most instances, we’re okay with the centers of each starburst being blown out, but not objects around it. 3) Set your Focus – Your focus will depend on the distance of the subject from your camera. For wide landscape and cityscape scenes, you’ll likely be at infinity. Make sure you switch your focus to Manual on the lens to ensure that your camera doesn’t auto focus to the wrong plane. If each shot has 20-30 second shutters, small mistakes can be costly and frustrating. 4) Take the Picture, Adjust and Repeat – As you use your remote trigger to take the picture, make sure you don’t bump your tripod while the shutter is open. And unless you’re really experienced (or really lucky), that first image likely won’t come out exactly as desired, so just adjust and repeat until you get it. 5) Experiment with Additional Creativity – Consider applying additional techniques such as light writing [rewind: click here to see our tutorial on light writing] and painting with light to add more interest to your photos. See the example below. In the day time, the sun will create a starburst, while most other lights other than your camera flash will not, as they are not strong enough relative to the amount light in the scene. “Starbursts” from the sun use the exact same concepts as starbursts at night. The main issue you’ll face is that, in the day time, you’re shooting into the light and the sun is likely much brighter than your subjects. In this case, you’ll have to use another light source, most likely external flash, to light your subjects or the foreground objects so they’re not underexposed. 1) Turn on Your Highlight Alert – As mentioned above, this is important to see where you’re losing detail and overexposing the scene. Note that a little underexposure, especially at ISO 50 is going to still work out great. 2) Set Up the Right Camera Settings – Your ISO is going to be as low as you can go, likely ISO 50 or ISO 100. Your shutter speed is likely going to be at 1/200, as high as it can go while still syncing with your external flashes. Your aperture will vary depending on the amount of light, the amount of “starburst” you want, and the amount of light you’re able to get onto your subject from your flashes or reflectors to properly expose them. This will likely be around f/16 in a scene like the image above. You’re going to have to be on Full Manual Mode for this one, as you may have to go below two stops of underexposure to bring out the sun and the skies. This obviously depends on your composition, but it’s a good rule of thumb that you’re going to be underexposing between one and three stops for these types of images. Before moving on to setting up your flashes, take a couple of test shots into the sky and see if you’re getting your desired look from the sun and the sky. or another type of remote trigger for your flash. You can choose how you want to angle the flashes and experiment with different distances and zooms of the Flashes until you get your desired look. 4) Fire Away, Adjust and Fire Again – Take your time, adjust your settings, adjust your flashes, and keep trying until you get exactly what you want. We hope you picked up a few things from this article, and please feel free to comment below! 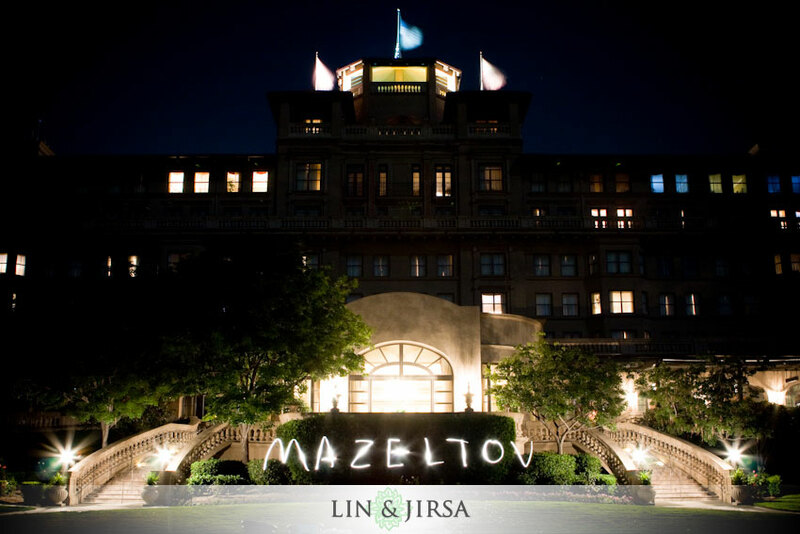 Written by Lin and Jirsa Los Angeles and Orange County Wedding Photographers. I enjoy articles that help make better photography tips to experiment with, Thanks for the article it was very informative! I would also add that on long exposures to turn off image stabilization on the lens. I was recently experimenting with nighttime(which I don’t typically do) images at 15 to 45 seconds and couldn’t figure out why they were out of focus, so I shut off my image stabilization and bam, tack sharp images. I have been trying to get this effect, but didn’t know what it was called, I am happy that I stumbled upon this article. Great lesson… But I have one question: why wont an on camera flash work to properly expose the subject? On camera flash works, but the problem is that it looks like on camera flash. It doesn’t look good. Also, on camera flash isn’t going to be powerful enough by itself to overpower mid-day sun for you to under expose the sky. 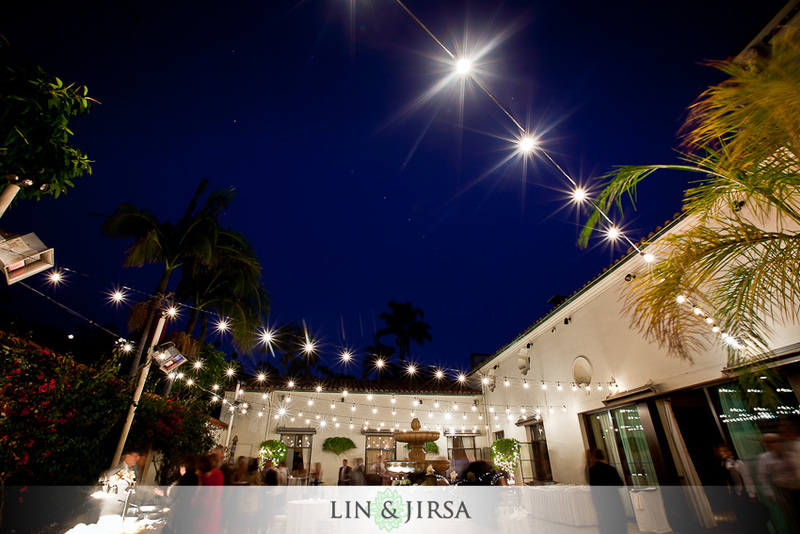 Hello Jirsa, Great blog info.Q:Can you do the same effect during an indoor wedding shoot, using a video light for the couple which are dancing, and having the starburst of the available lights in the evening!! You can use a video light for a similar effect, however you won’t get the same starburst since the video light isn’t powerful enough when you stop down the camera to F7 – F11. What you can do is shoot at F2 – F4 and use the video light for a flare, it will still have a flare/star pattern, but just not as defined. It will be more circular than starlike the more open the aperture.